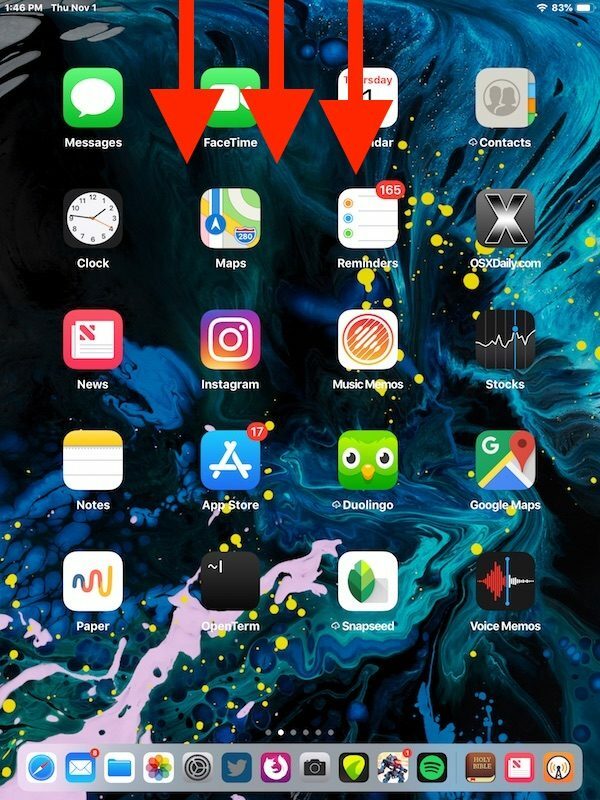 How do you fit all those apps into the Dock? Drag apps into the Dock to fit them into the iPad Dock. The iPhone only supports 4 apps in Dock, but iPad supports a lot more. Plus iPad gets more with the suggested apps thing, which is kind of annoying but also kind of useful! Now they need a way to customize these “quick” settings. The choices are basically off and really off. What if I just want to disable the sound? 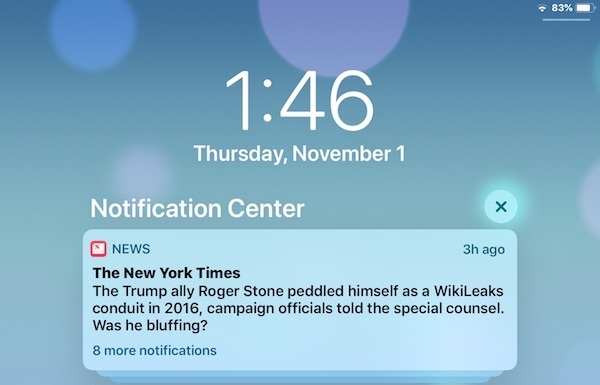 Notification Center is just a distraction machine, and an ADHD Generator. 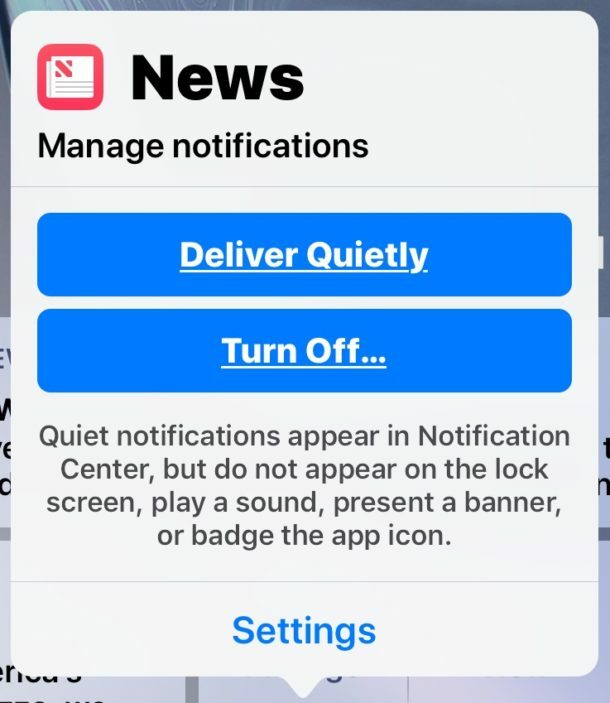 Turn the whole thing off, disable every notification. The only notifications anyone needs are phone calls and messages. No exceptions. My neighbor set up a quick access button on the screen of my iPhone and it shows up on every screen I see. It is great . You can move it around so it doesn’t interfere with the current screen . 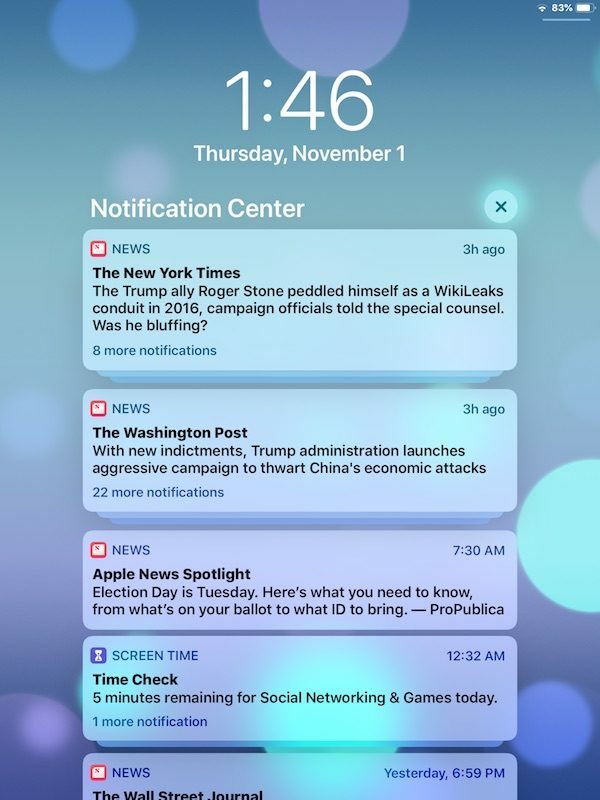 When you click on it a small pop-up window opens up with Notifications, custom, device, Siri, Home, and control center buttons. Each button opens the appropriate small pop-up window. It is really great, but for the life of me I can’t recall how he set it up. I want to set it up on my wife’s phone. Maybe you can give that as a tip one day. I believe you’re talking about “Assistive Touch.” It should have a toggle in the Accessibility settings. So what if you cannot swipe? In fact, I use a stylus. So what then? You should be able to swipe with your stylus, just as you would with your finger. Even if not, you can still use your finger to swipe. Using a stylus or the apple pencil does not disable finger gestures. You can swipe with your stylus Jonathan. A stylus is capacitive and interacts with the screen the same way a finger, toe, nose, etc does. You can even use a hot dog to swipe and tap on iPhone and iPad.